Rue. 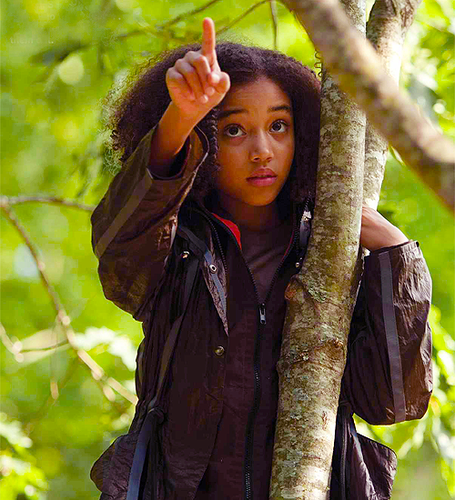 Rue up in the درخت beside Katniss pointing out to her the TrackorJackor hive. 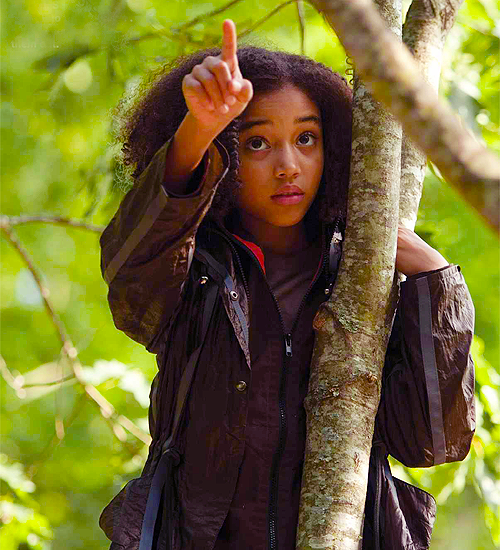 Wallpaper and background images in the The Hunger Games club tagged: hunger games the hunger games movie rue rue climbing tree. This The Hunger Games photo might contain باکس کوٹ, خانہ کوٹ, پہناوا, overclothes, آؤٹر, and اوورکلوتھیس.